I’m American by birth, lived in Nice, France for many years, and now I’m based in London, England. Life in a foreign country is never dull and every day is a new learning experience. I share my adventures (and my questions) with Jeff, my husband of many years. I enjoy travel, history, observing cultures and traditions – and then writing about them, of course. If you would like to read the longer version, click here. In September 2012 I started my blog, The Curious Ramber (curiousrambler.com). I was just heading off to Florence, Italy to take an Italian course for three months and thought it would be a good way to keep in touch with family and friends. I started blogging about my experience in my course and, since I had always had a keen interest in history, I also started writing about that historic city. 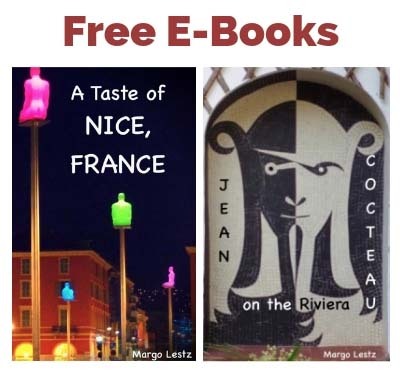 After my return, I realised that I really enjoyed writing about history and culture, so I started searching for interesting stories in Nice, France, my adopted hometown. Later, I branched out to all of France, and other places that I visited. I believe history is fascinating, often funny, and should never be dull. After a few years of blogging, I started to edit and put some of my stories into collections for publishing. 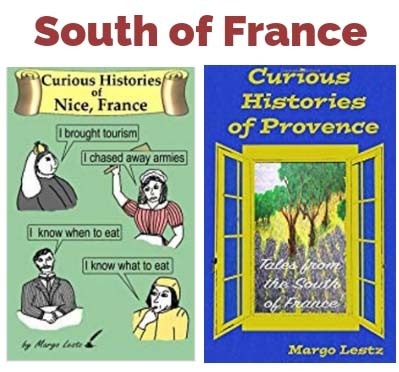 My first book was French Holidays and Traditions and then came Curious Histories of Nice, France, then Curious Histories of Provence: Tales from the South of France. 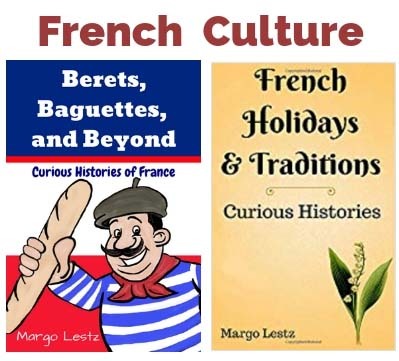 My latest book is Berets, Baguettes, and Beyond. Click here to visit my Books page. The Good Life France, a magazine about France and all things French. The Riviera Reporter, an English languge news magazine on the French Riviera. Where to Find My Books? If you would like to receive an email every time I post an article (usually every two weeks), sign up to follow my blog, Curious Rambler. Go to http://curiousrambler.com and find the button that says “Follow this Blog.” It’s just above my photo in the sidebar to the right (or at the bottom if you are reading on a small device). Thank you for reading! Please accept my condolences on the passing of your partner. I know it must be quite a life adjustment. It’s good that you are still traveling and visiting France when you can. Hope you find something there that you like.